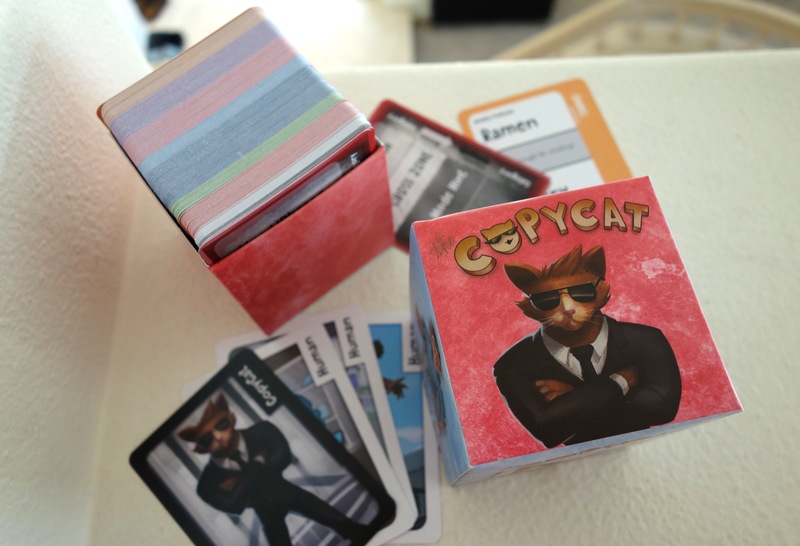 After months of collaborating with artists, emailing manufacturers, designing our game, and lots more work, work, work, we are so excited to see our first prints for The CopyCat card game come in! The box and cards are beautiful, and boy is some serious fun about to come down! The game has been such a hit with out friends and family, and we can’t wait to get more feedback at Kublacon in May! Keep an eye out for us on Kickstarter in June too! Check out our how-to-play here. And please click here to like us on Facebook! If you have any questions or feedback, please email us at hawkgamesofficial@gmail.com!